Its been long since Apple first launched it music streaming service. Till now, the company has managed to gather enough traction as the number of its subscribers have grown. Apart from Spotify and many other direct competitors to the Apple Music, Amazon is also looking forward to launch its own Amazon Echo-exclusive music streaming service. What comes as a shock is that the company is willing offer a $5 per month subscription. Let’s see some more details on Amazon Music streaming service. With such a competitive price point, Amazon might give Apple Music a hard time. Previously if you remember, Apple was rumored to charge $5 a month based on the idea that an average iTunes user spends $60 a year on downloaded music. However, the $5 plan was executed in favor of the $10 pricing per month. Now as per the reports, Amazon will launch its music streaming service with half of the subscription price compared to Apple Music. If you’re excited at this point in time for Amazon’s streaming service, you might as well know that the service will be limited to Amazon’s Echo players. This means that you will not get any Amazon music streaming service on your smartphone. This is indeed a well sorted aspect that needs to be reviewed by the consumer. If you do not own an Amazon Echo player or have no intention to purchase it in the near future, you have absolutely no business with the company’s music streaming service. Coming back to Apple Music once again, the company does have a $5 plan but it is available for students alone. You are authorized to to get a 50% discount on the standard Apple Music subscription if you are associated to an educational institution. See the complete details here. 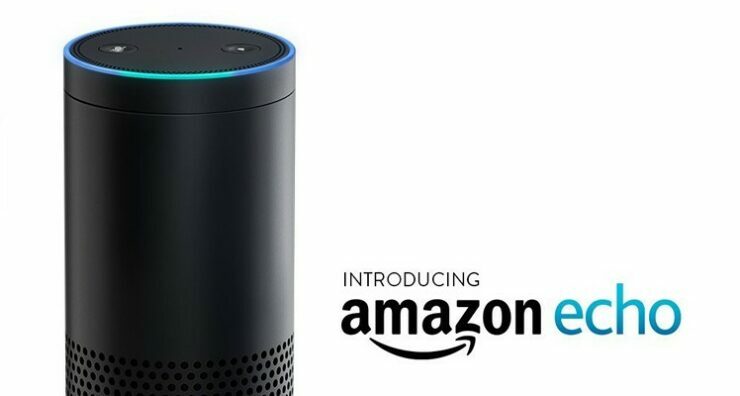 Amazon Echo is an internet connected speaker which is powered by a virtual assistant called Alexa. The company reportedly sold a million units last year. Moreover, the company deems to sell three million this year and 10 million units by the year 2017, as reported by The Information. This is the second time Amazon has launched a digital media subscription, the first being a video streaming service. The service was introduced earlier this year and was offered for free to Amazon Prime subs for $9 per month. We’re currently not sure how Amazon’s decision to launch an Amazon Echo-exclusive music streaming service will pan out. Nonetheless, we will keep you guys posted. This is it for now, folks. What are your thoughts on Amazon music streaming service? Do you think the service will give Apple Music a tough time? Share your thoughts with us in the comments.